I had the honor of sitting down with my meditation teacher who is such an inspiration to me of what it means to live unscripted. her teachings, heart, & presence leave me with a bit of a greater understanding of what it means to be an unscripted woman in the world. Thank you Kelly for sharing your heart and kindness with me and the readers here at Unscripted Heart. What does living unscripted mean to you? “When I think of living unscripted, what comes to mind is a memory. I was going through a major life transition where everything that was familiar was dissolving and I was left with this question of who am I and how am I supposed to be in the world. I remember waking up one night in a panic with this question in my heart of ‘what am I supposed to do?’ What I heard was a very clear wisdom coming through that said, ‘Just be yourself. Everyone will benefit if you are just yourself.’ Without knowing exactly who I was, It landed me in a place of being without needing to know or think about or have words to define who I was or what I was doing, it dropped me into a really authentic space of who I was beyond all the labels. That has been my guiding principle ever since. Whenever I feel a little lost I just come back to this feeling of being myself and acting and living from that place. My life has had this very wild and wonderful trajectory of relationships and mothering experiences and livelihoods. To live unscripted means just to follow my experience of whatever feels true and genuine in the moment. Right now that means finding an integration of the different expressions of my life so far from meditation to mothering, to practicing mind body therapy, and teaching dharma. What does wholehearted living mean to you? What scripts have you rewritten or are currently rewriting? How do you practice sacred self care? “That is very connected to the last script in working to overcome that by allowing sacred space. That is probably the most fundamental way I practice self care, by creating and allowing sacred spaces for myself by just being, because everything else comes out of that. If there is not space to feel connected to myself then all of my patterns of not caring for myself flow out of that. I do this by taking the space before I practice self care. Scheduling time on the calendar to do nothing allows the acts of self care; such as nutrition, being in nature, exercise, yoga and meditation, to flow from that sacred space I have created. If I do not create this time and schedule it then I don’t eat what I should, I don’t get enough exercise, because I fall into the patterns of busyness and doing. Literally on my calendar I cross of chunks of time or just write hearts. I need one hour each day that is unstructured, I need one day a week, one weekend a month, I need one week a year where there is permission for not doing. It is organized but it is also unscripted because when I create the space I can connect with what I need in that moment. What is the driving force behind what you do in the world? “My driving force is a genuine desire to alleviate suffering, my own and others." If you could be remembered by just one word what would that word be? 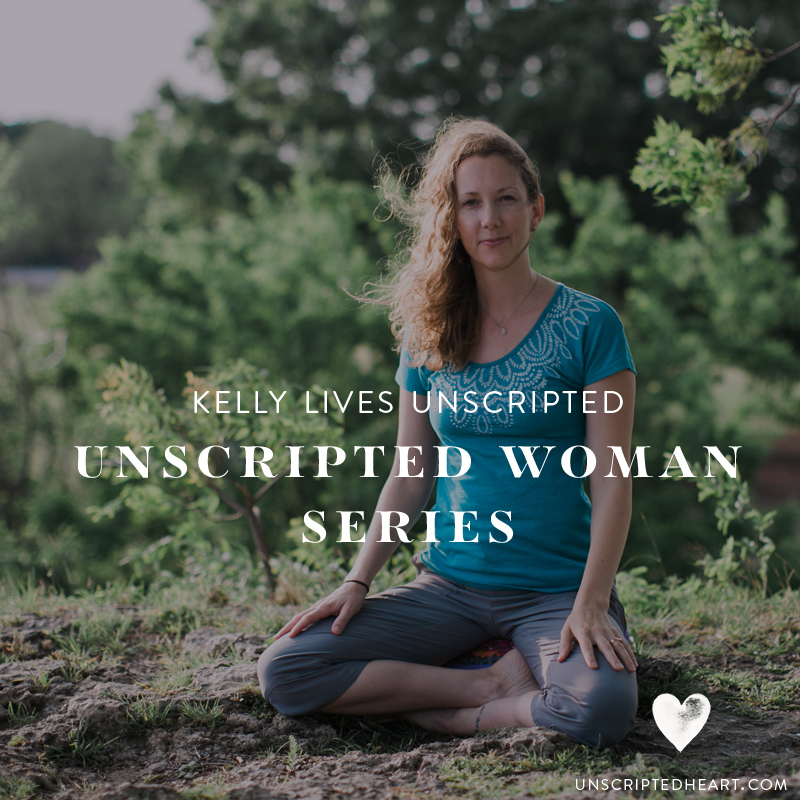 Kelly and her unscripted life has been life changing in my own journey as well as my personal meditation practice. Her support and guidance as my teacher during my 300hr teacher training gave me the space,courage, and acceptance to bring Unscripted Heart to life and to listen deeply to my own innate wise woman who guides me through my own unscripted life. My meditation cushion has been a wonderful reminder, to sit and just be myself. Here is a bit more information on some of the wonderful offerings that Kelly brings to the world. My utmost gratitude for your practice, presence and wisdom Kelly. Thank you for being YOU! Kelly has many offerings to help you live your most unscripted life. 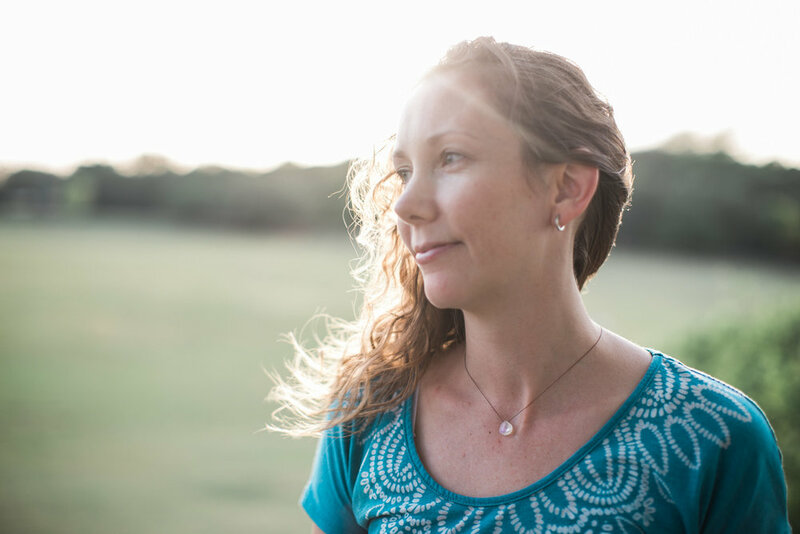 From classes, to retreats, to meditation cushions; everything Kelly creates is from a deep sense of wholehearted kindness to help alleviate suffering for all beings.